Hurrah for Nurse Tyson! Quick deliveries and ‘Sage Femmes’. 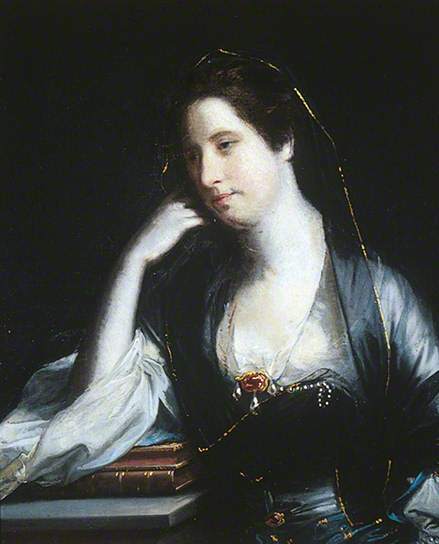 I’d like to kick off this blog by introducing you to Frances Ingram (nee Shepherd), the well-connected but illegitimate daughter of wealthy speculator Samuel Shepherd. Her entry in the Oxford Dictionary of National Biography (written by @EHChalus) records her as good-looking, shapely, assured, intelligent and worth approximately £60,000 making her the perfect wife for aristocrats with ‘good names but empty pockets’. You can expect to hear a lot more about Frances as, it transpires, her close friend and correspondent Susan Stewart (later Countess Gower) was kind enough to neatly fold away her letters after having read them, and put them somewhere safe until, a couple of centuries later, they turn up in the National Archives at Kew. I find the way she gives the midwife a theatrical role very interesting. There is something slightly dismissive in the way that she refers to this supposedly central figure of the birth room as ‘the performer’, as if their presence is almost an act. This is emphasised by the ability of Nurse Tyson to ‘act the part’ in an emergency. It also raises questions about the designation of a ‘midwife’. For elite women like Frances, this is not particularly problematic. Midwives would have been trained, either institutionally or through apprenticeships, and registered with the ecclesiastical authorities. For a woman as wealthy as Frances, it could have been one of the celebrity midwives who published treatises and advice on the subject. Yet, the function of the midwife was performed perfectly well by Nurse Tyson, an untrained but experienced companion. Tyson’s competent performance implies that, lower down the social scale, similarly qualified women could also function as midwives, safely delivering their patients yet almost invisible not just to the authorities, but to historians as well. How did the majority of early modern women distinguish their midwives from their experienced birthroom attendants? It is a question that needs exploring. Finally, I’d like to draw attention to Frances’ use of the phrase Sage Femme. This phrase clearly refers to a female practitioner of midwifery, something which (it has been argued) is extremely unusual for an elite woman in the second half of the eighteenth century. I understand (though I have yet to check this out for myself) that Frances deliberately employed female midwives for each of her pregnancies, despite the availability of experienced male obstetricians in nearby Leeds. As I will discuss in future blog posts, this deliberate rejection of the fashionable choice in favour of a traditional birth experience can be seen throughout the eighteenth century at varying social levels. What is the reason for this? Perhaps it is modesty, perhaps it is a preference for traditional practices, perhaps it is through personal recommendation? Whatever the reason, it would appear that the figure of the man-midwife may not have been as ubiquitous as would appear at first glance. Doreen Evenden, The Midwives of Seventeenth-Century London, (Cambridge: Cambridge University Press, 1999). Jean Donnison, Midwives and Medical Men: A History of the Struggle for Control of Childbirth, (Herts: Historical Publications Ltd, 1993); Adrian Wilson, The Making of Man-Midwifery: Childbirth in England 1660-1770, (London: UCL Press, 1995). Thank you to @Beady77 (Dr. Julie Day) for this information which was part of her research into her PhD thesis Elite Women’s Household Management: Yorkshire 1680-1810, (University of Leeds, 2007).